Hello Spellbinders friends, Yvonne here to share a beautiful Christmas card. It took only one set of Spellbinders® die templates to make this card and it’s one of our newest holiday dies, Mistletoe Card Front. 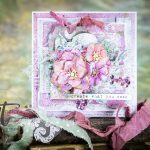 By using the leftovers (negative pieces) of the die cuts, you can create an amazing look to your card. 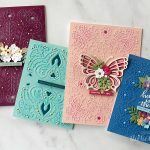 Simply mix and match your die cuts and negative pieces in various colours…that’s all it takes! ” card base. Nest Mistletoe Card Front Inset and Border dies together (secure with low tack tape) on to green cardstock. Cut/emboss using the Grand Calibur® Machine. Leave the paper in the die to stencil through the die, using white chalk ink. Just ink some of the berries to highlight (pearls will be added later) and glue to card base. 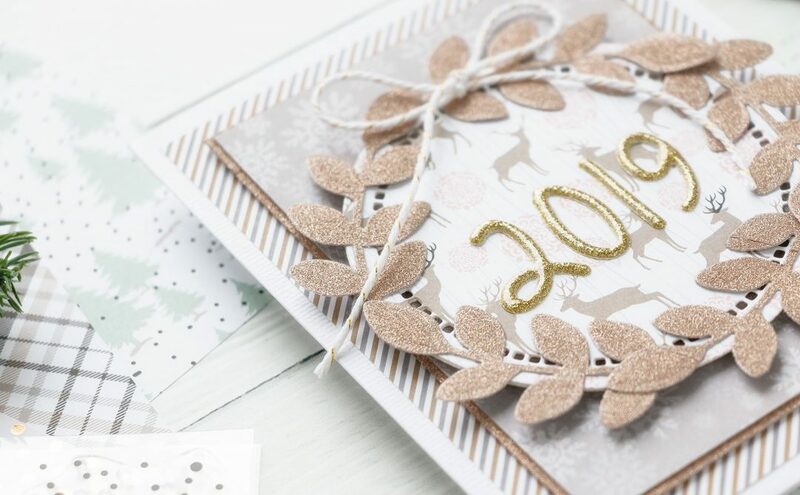 Repeat the cutting and embossing in white glitter cardstock and again in olive green cardstock. 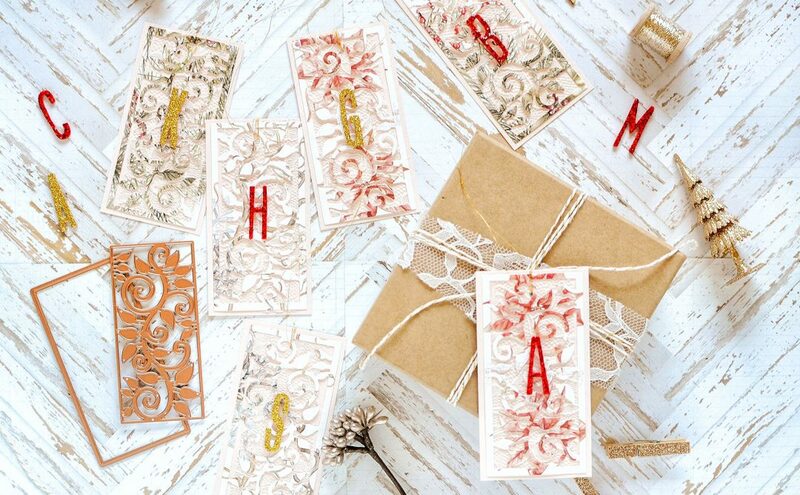 Use the drop off pieces only and adhere in alternating order to the background of card panel. Stamp sentiment onto white cardstock strip and adhere with 3D Foam Squares towards the bottom of panel. Embellish with self-adhesive white pearls. 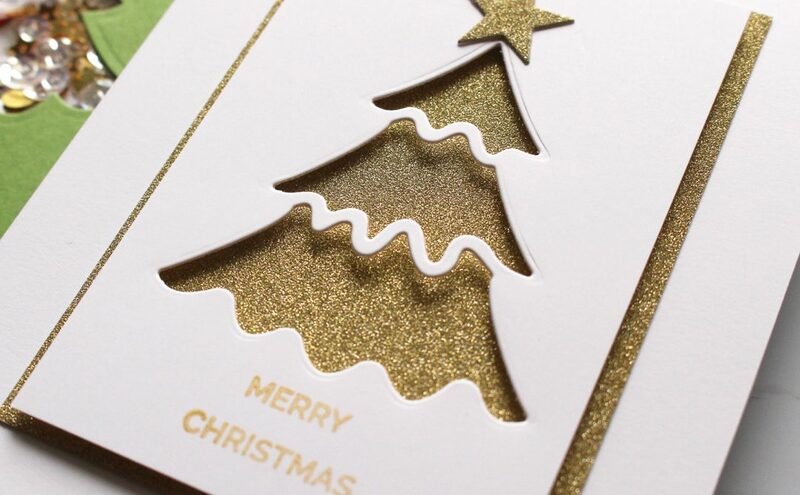 For another twist on this project, you can make a gorgeous Christmas card trio using the white glitter and olive green die cuts! 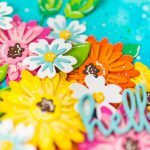 Thanks so much for stopping by and wishing you happy crafting!